Tyrannosaurus rex was just a little nipper compared with a bird from the Galapagos islands that weighs 33 grams, research has revealed. 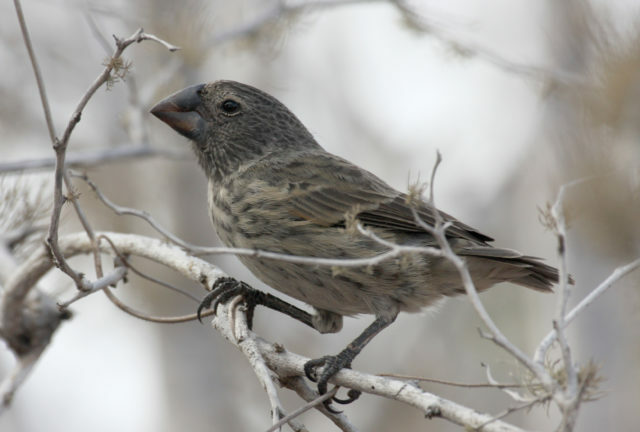 Pound-for-pound, the bite of the Galapagos large ground finch is 320 times more powerful than that of its distant dinosaur cousin. Scientists made the discovery after using super computers to analyse the bites of 434 living and dead species, including birds, mammals and reptiles. The Galapagos large ground finch had the strongest bite of all in relation to its body size. Its thick beak packs an impressive 70 newtons of force, which is put to good use cracking open nuts and crushing seeds. At six inches long, the finch is just about the size of one of T-rex’s knife-like serrated teeth. Yet the eight-tonne dinosaur would stand no chance against the bird if both were the same size, said the scientists. Lead researcher Dr Manabu Sakamoto, from the University of Reading, said: “The image of T-rex with its fierce jaws has helped it become the most iconic of dinosaurs, but our research shows its bite was relatively unremarkable. Bite force was not what gave T-rex its evolutionary advantage, as was previously presumed. “Large predators like T-rex could generate enough bite force to kill its prey and crush bone just by being large, not because they had a disproportionately powerful bite. The research also suggests that human intelligence may have led us to have such a puny bite compared with other animals, said the scientists. Evolving a large brain has taken up head space that would otherwise be filled with muscles critical for hard biting. The study, published in the Royal Society journal Proceedings B, found that the bite power of most animals had developed proportionally to evolutionary changes in body size. 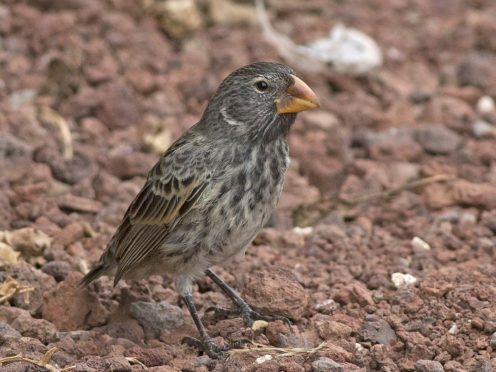 Accelerated bursts of bite evolution was seen in some animals such as the Galapagos large ground finch, which developed its phenomenal beak power in less than one million years. Evolutionary reductions in bite power were more common than increases, said the researchers. This was especially true of humans, whose bite power had decreased rapidly despite their bodies growing larger over time. Dr Sakamoto said: “An evolutionary trade-off with increasing brain size in humans may be the reason that our bite power is pretty pathetic. Co-author Dr Chris Venditti, also from the University of Reading, said: “Our research provides new insight into the latest theories about the speed and drivers of evolution. It also allows us to create some fascinating hypothetical match-ups.